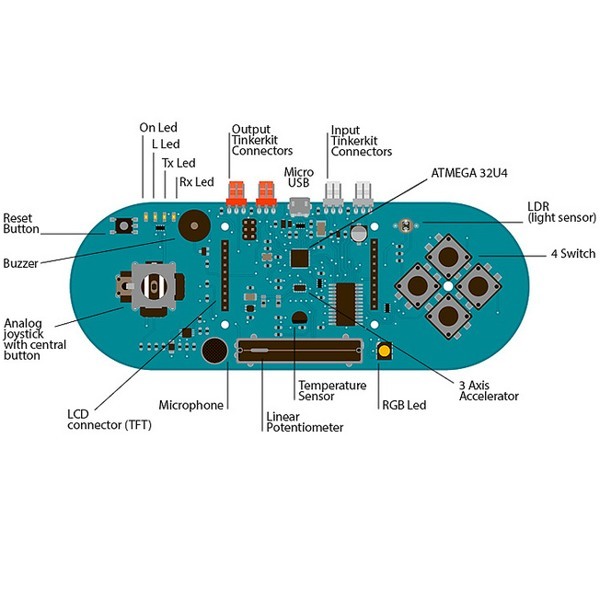 The Arduino Esplora is a plug and play microcontroller with plenty of built-in features to learn and explore. 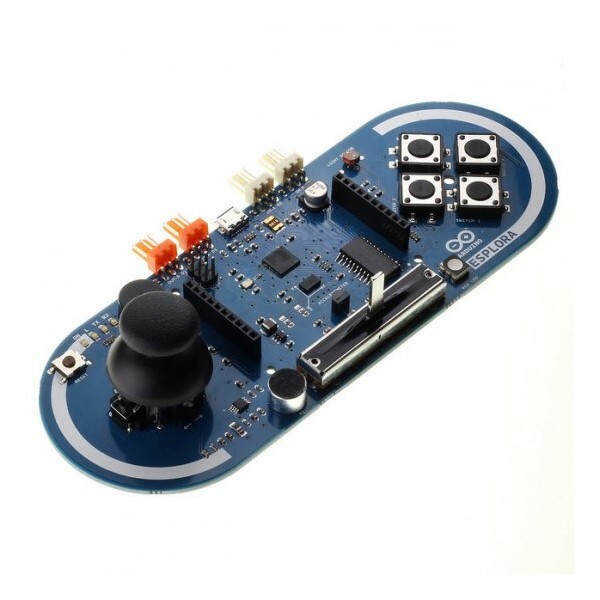 This Arduino microcontroller looks a lot like a video game controller and has some of the same features. It has an analog joystick with center push button and four other buttons just like a classic video game controller and an accelerometer like Wii remote. But that's not all! It also has an analog slide control, temperature sensor, light sensor, microphone, buzzer and an RGB LED. It uses the same ATmega32u4 processor as the Arduino Leonardo and Mini. It doesn't support any Arduino Shields but it can be attached to a color LCD module. There are two input and two output ports for attaching other modules. These ports are 3 pin TinkerKit compatible ports with Voltage, Ground and Signal pins. We think the Esplora is an ideal platform for making a remote controller device for your robot. It would need to be extended to communicate with your robot but it's not rocket science and would be a lot of fun! We're sure you can think of a lot of other great projects for the Esplora as well. 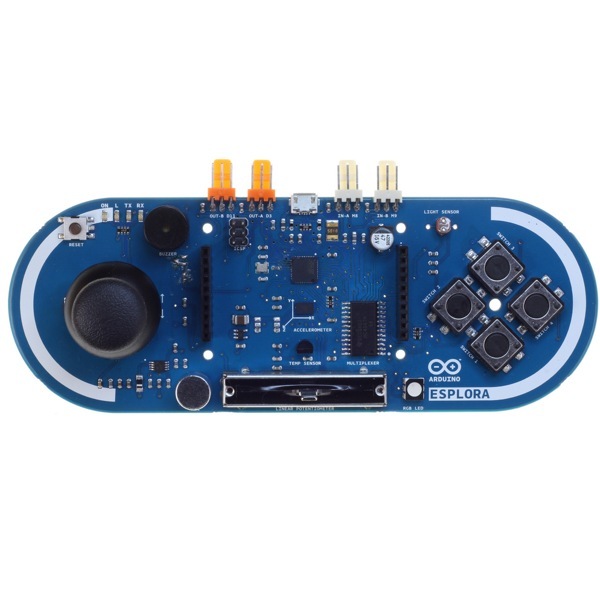 The Esplora platform is ideal for those who want to learn about Arduino microcontrollers without having to assemble any parts. It includes everything needed to get started and even includes a Micro USB Cable.